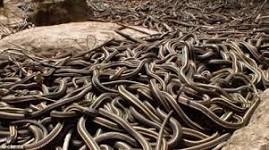 Who Let the Snakes Out? ​Growing up in the church, I’ve often heard the motto, “I want to go to heaven and take as many people with me as I can.” This is a noble and appropriate goal for a Christian and should be our mindset. We want to make a difference. One of the biggest ways to make a difference in the Church is doing all we can to make sure everyone in the Church remains faithful, and avoiding behaviors that would push them away. ​We learn in Hebrews 10:24-25 not to neglect God nor our brothers and sisters, but to “exhort” and “stir [them] up to love and good works.” To exhort means to strongly encourage or urge someone to action. A huge reason we assemble is to encourage our brothers to continue to live for God, which should make assembling a unifying event. However, when we fail to exhort and stir one another up to love and good works, we open the door to division. Paul wrote in Galatians 6:1, “Brethren, if a man is overtaken in any trespass, you who are spiritual restore such a one in a spirit of gentleness, considering yourself lest you also be tempted.” In what way could we be tempted? The sinning brother did wrong, not me! We can be tempted to lose our temper, as if we are the sinless judge. Jesus reminds us in Matthew 18:21-35 that we should be far more concerned about our own debt than our brother’s debt. We need to use more restraint—it doesn’t take a hammer to remove a fly from our brother’s forehead (Galatians 6). While we are commanded to restore our brothers, and to “pull them out of the fire (Jude 23),” we must realize only the gospel can convict a good and honest heart (Romans 1:16). Galatians 5:15: “But if you bite and devour one another, beware lest you be consumed by one another! “The prominent words in this verse of Scripture are ‘often used together of wild animals, or like cats and dogs’ (A. T. Robertson) or ‘of animals of prey’ (Liddell), and so this context describes Christians who act toward each other, howbeit figuratively, as ravenous, mortal enemies in the animal kingdom. Christians are not supposed to act like ‘wild animals in deadly struggle’ (Wuest). This type of behavior is as remotely removed from the ideal of the preceding verse as one could possibly imagine, which reads, ‘…You shall love your neighbor as yourself’ (Galatians 5:14)…. In other words, “be kind.” Anyone who truly knows the bible can spot sin; one who practices the bible meekly warns his brother of his sin. Do we want only to prove to others that we know our brother is in sin, or do we want to effect change? When we humbly urge our brothers to turn to God, our congregation can become more like the church we read in the bible. People have pride in long tenure. Olympic athletes with the longest standing records are exalted as gods because of incredible feats. Sometimes long tenure is confused with legitimacy. So is the case with the Catholic Church and the pope. Members of the Catholic Church are convinced that the pope is the voice of God on earth, and they make this claim on the basis that the popes can be traced all the way back to Peter: the acclaimed first pope. Following are three reasons this author cannot believe the apostle Peter to be the first pope or his successors to be the Catholic popes that followed. First, the supposed successors to Peter as pope were simply elders in the church. As early as Irenaeus (185), attempt was offered to make one single bishop (pope) of Rome have precedence over the church. Irenaeus claimed Linus was the first bishop after Peter, followed by Anacletus. However, Tertullian gives this title to Clement of Rome. Much confusion can result in trying to reconcile early documents and finding who the true successor was. Clement’s own writing settles the issue. Clement states that the churches were governed by elders, thus explaining that all these men were elders of the church at Rome, with no single one of them holding primacy over the others. Second, if all popes are the successors of Peter, then all popes should be as righteous as the apostles themselves. Liberius, Honorius I, Stephen VI, John XII, Benedict IX, and others are good examples of how evil popes have been through the years. 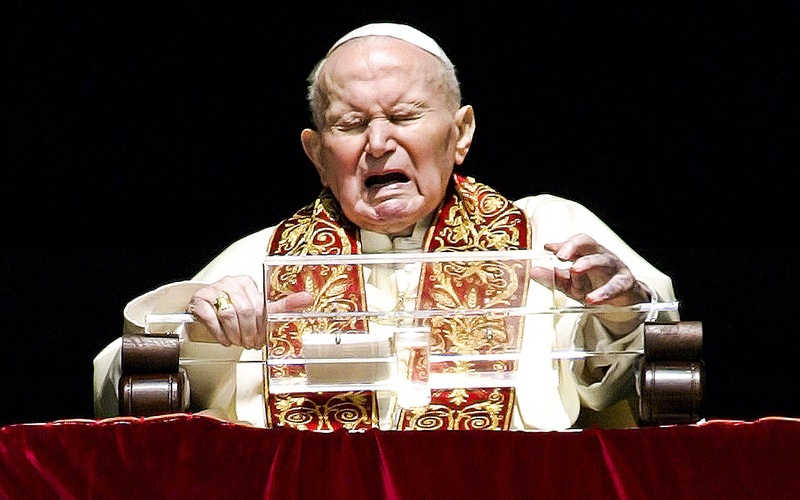 Some of these popes were sexually immoral in ways that would make a dog cringe. The bottom line is this: show this author 13 apostles who will be in heaven and a list of 13 popes can be provided who will be in hell without a doubt. If the popes are chosen and inspired by God as Catholics claim, then not a single one should have such evil said of them. Third, the Bible does not support a monarchal pope. Peter had no superiority over the other apostles. In fact, Paul rebuked Peter to his face (Gal. 2:11). Also, in Acts 15 at the Jerusalem council, Peter held no precedence over the others in attendance. History nor the Bible support linear succession of the pope back to Peter. The pope is elevated to god status. Ironically, Paul said, “There is neither Jew nor Greek, there is neither slave nor free, there is neither male nor female; for you are all one in Christ Jesus,” (Gal. 3:28). Peter himself said that bishops were not to be, “Lords over those entrusted to you…” (1 Peter 5:3). It seems odd then when the pope is paraded around and exercises supposed God given authority as he does. This is the truth about the pope. With everything that we do in life, sports, jobs, school and so on, it can be very easy and tempting to have someone become our enemy. Perhaps, we deep down inside begin to hate them. Literally we cannot stand that person and no matter what they do we begin to hate them. I have been guilty of this, on occasions, and perhaps you have as well. The Bible has things to say about this hatred that we may have for some people. Proverbs 10:12 says, Hatred stirs up conflict, but love covers over all wrongs. It’s obvious that all hatred does is cause problems. 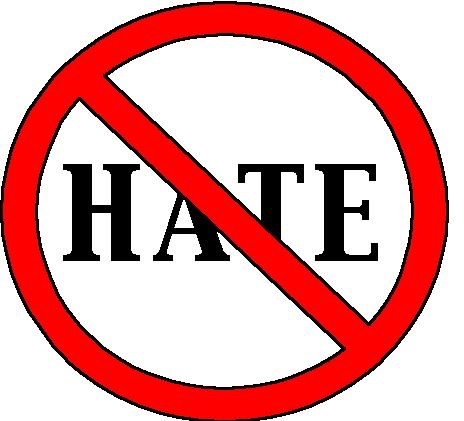 In Matthew 5:43-44 it says, “You have heard that it was said, ‘You shall love your neighbor and hate your enemy. But I say to you, love your enemies, bless those who curse you, do good to those who hate you, and pray for those who spitefully use you and persecute you, Jesus says that it doesn’t matter what this person has done to us. We are to love them and do good unto them. Romans 12:20 Therefore if thine enemy hunger, feed him; if he thirst, give him drink: for in so doing thou shalt heap coals of fire on his head. This doesn’t mean that we should want to make our enemy mad by doing good, but we should want to do good so that they might realize we are not their enemy and that we love them. I think this is something that should be talked about more in the world today.